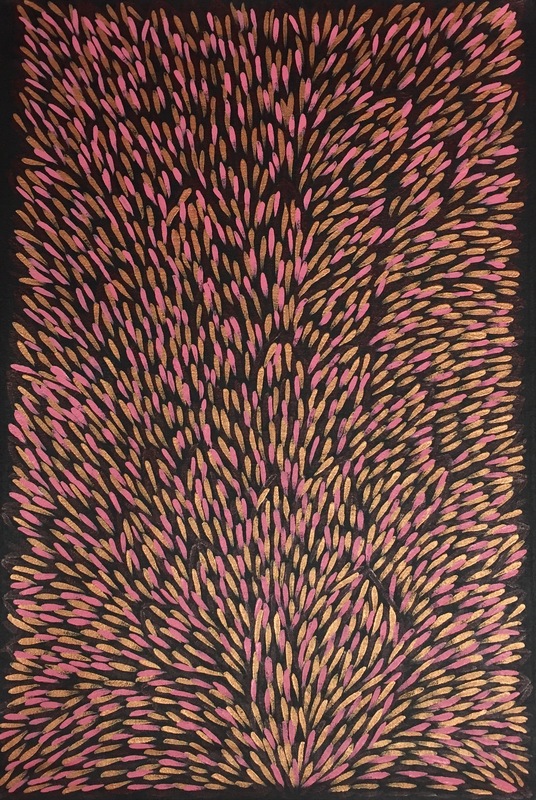 Gloria Petyarre could very well be considered one of the most important and highly respected female indigenous artists of our time. Born in 1046, she spent her early years living a very traditional and nomadic life. 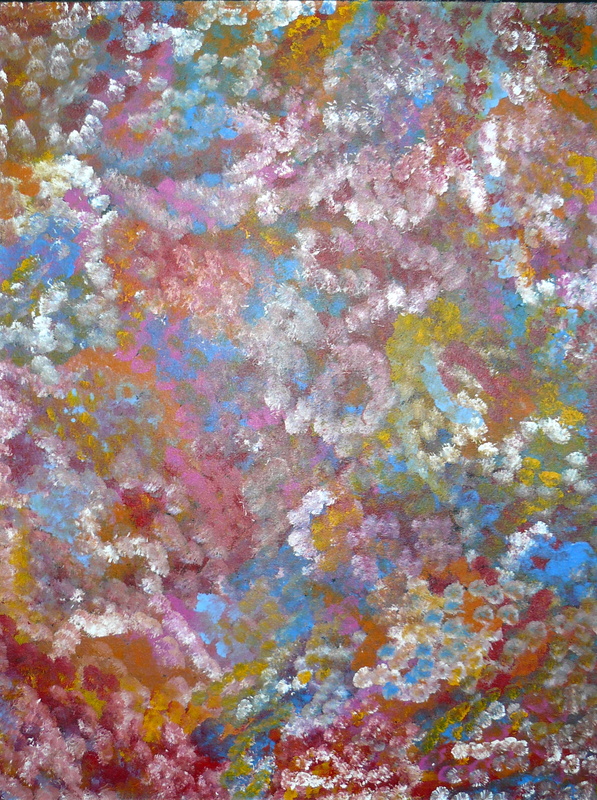 Therefore, she has a deep rooted respect and understanding of the rugged environment around her homelands. 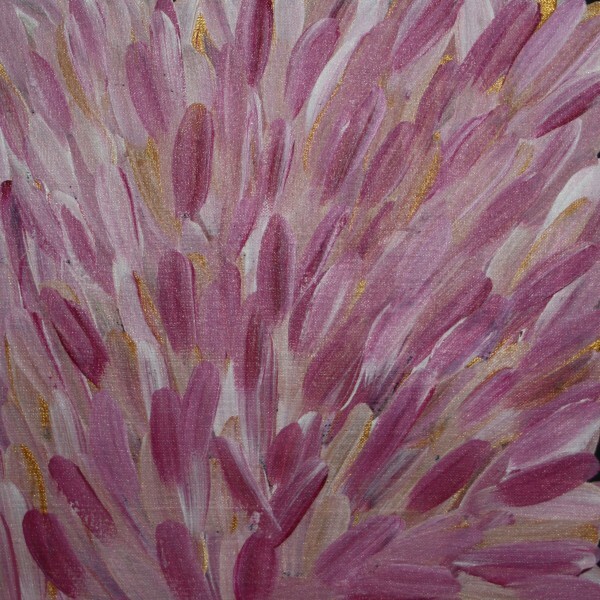 The most recognisable of Gloria's artwork styles is the Bush Medicine Leaf. These incredible works are an intricate and hypnotic display of how Gloria sees the wind as it blows through these plants.